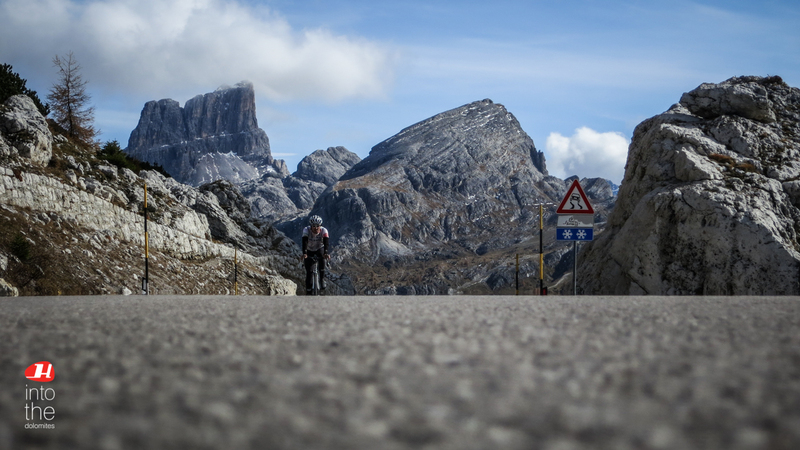 Aside from the new “Dolomites Cycling Weeks” packages, there’s more exciting news for roadbike fanatics: the “Dolomites Cycling Challenge“! To be honest, this tour is not actually a novelty since Holimites has been organizing sports trips as a tour operator on behalf of larger travel agencies abroad for several years now. Our job was, in a sense, “convenient” since all we had to do was take care of the product and services on-site, without having to tend to advertising and sales. Yet, it was actually by pedaling with these customers that we were able to prove them wrong because, the few times we tinkered with the program to offer our own version of the tour, the level of satisfaction of the participants increased. For example, once – in order to keep the group together – we chose to accommodate everyone in a family-run hotel instead of the two luxury hotels that had been reserved by the travel agency, which would have divided the group in two. Well, that night the owners ended up teaching the whole group how to play cards until 4 in the morning! Cycling the following day was pure agony for most of the group, but the welcoming, family atmosphere we received during our stay in this hotel has created friendships and memories that will last forever. Therefore, Holimites is launching its very own road bike program in 2014 based entirely on its own ideas, collected over several years of experience with other cyclists! 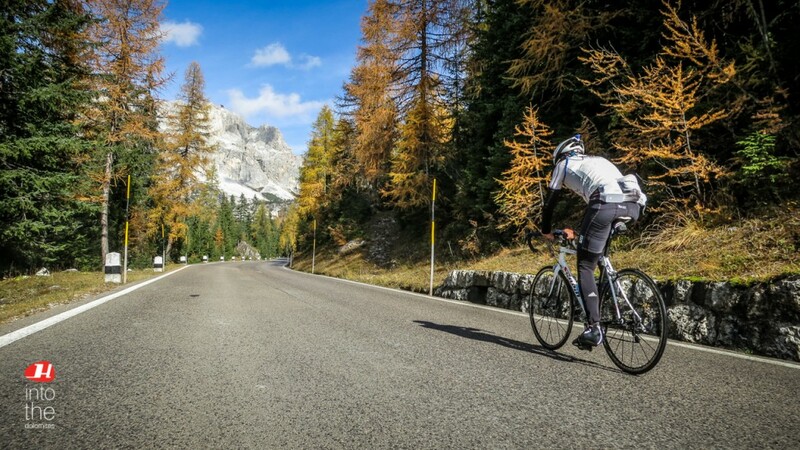 The “Dolomites Cycling Challenge” starts in September – a real test for cycling addicts. The numbers are clear: we’ll cycle for 7 days, pedal for 830 km, accumulating the tune of 25,500+ meters of altitude gain! Many of you might wonder where is the originality and family charm in this. We may sound slightly overconfident, but aware of our qualities we feel we can say that we’ll unveil its secrets day by day. We’ve been riding these routes by bike for more than 25 years, participating in locally organized cycling competitions, and we know variants and points of interest like no one else. We’ll favor family-owned hotels run by cycling friends that years ago participated alongside us in the cycling races, over 5-star hotels. 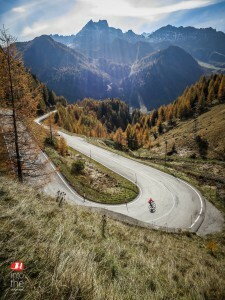 We’ll choose taverns that can’t be found in any travel guide or website, over Michelin-starred restaurants – stops after which, we can assure you, you’ll have a hard time battling with your bike (and bulge) for an hour or so due to the last smorgasbord! We’re certain that at the end of the week, you’ll not only have 2 cement-filled legs, but more than anything else, you’ll remember how much fun you had with the Holimites team and you’ll be back cycling with us again soon! 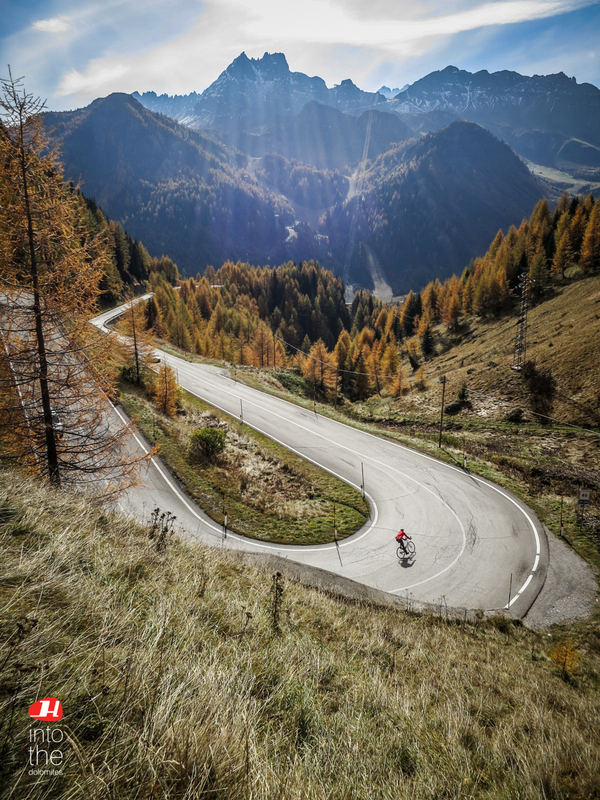 This entry was posted in Cycling, Summer and tagged altabadia, cycling, dolomites, roadbike on January 9, 2014 by holimites.